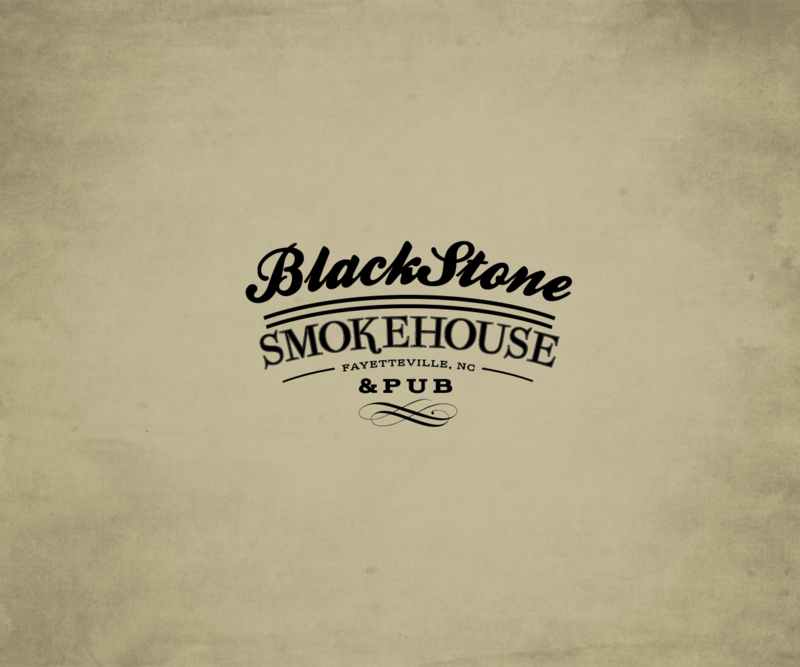 The weather outside isn’t frightful, so there’s no need for a delightful fire. It’s not likely to be a white Christmas, and here in North Carolina, we’re more likely to be walking in unraked leaves than a winter wonderland. So how do we get in the Christmas mood? With music, of course. Behold is Sweet Tea Shakespeare’s musical celebration of the Christmas season, so even when it’s 65 degrees outside, rehearsals have been full of Christmas cheer. In this spirit, the performers of Behold have contributed songs to a holiday playlist for you to enjoy. We’ve also been preparing an entire slate of songs to share with you this Thursday, Friday, and Saturday at Holy Trinity Episcopal Church. 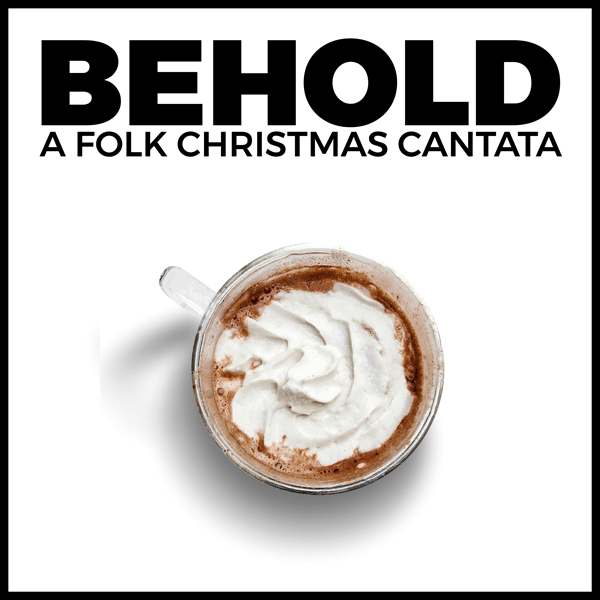 Join us for Behold: A Folk Christmas Cantata, and in the meantime, hear what’s keeping us merry and bright this December. Hello, everyone! My name is Catherine, and I am a relative “newbie” to the Sweet Tea stage. Behold, which opens tonight (yay! ), will mark my second show with Sweet Tea Shakespeare, with my first being Romeo & JuliLIT in October. Both Behold and Romeo and JuliLIT have become cherished performance memories for me, and it’s with great pleasure that I share some thoughts from my experiences this season. First, I’ll provide a little backstory. I come from a musical family in which violin is the instrument to play. Both my grandmother and mother have worked for years as professional violinists and instructors, so naturally, I was given classical violin lessons almost as early as I took my first steps! As I got older, my most radical act of teenage “rebellion” was to insist on taking voice lessons and applying for voice programs, instead of violin, at university music schools. (Honestly, this was one of the most rebellious things I ever did–in my own mind, anyway. In reality, my family was absolutely thrilled I was studying voice. My teenage years were obviously not that riveting.) Eventually, I earned a Master’s degree in Vocal Performance, and I began performing professionally as an operatic soprano and, from time to time, a violinist. Opera has taken me to places I never imagined I’d see. Shortly before auditioning for Sweet Tea Shakespeare, I’d completed a performance season in Vienna, Austria, where I sang the role of Susanna in The Marriage of Figaro by Mozart. This was a dream role for me; Figaro is my favorite opera. 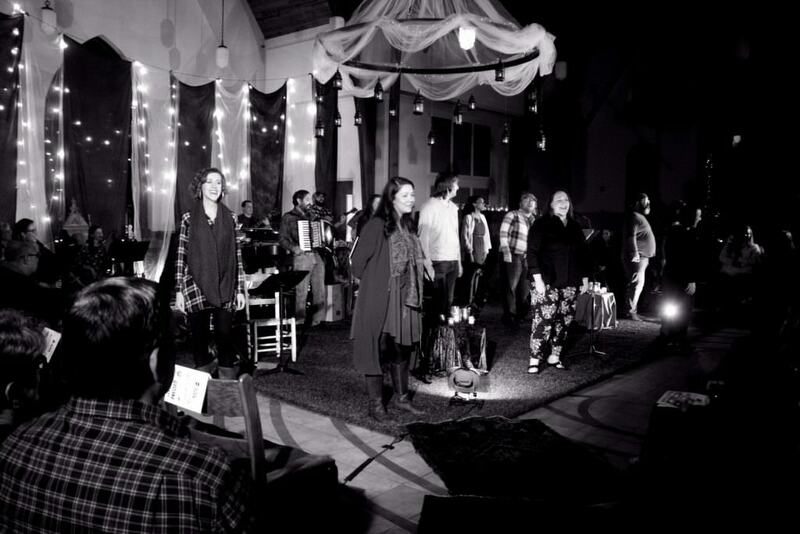 When I moved back to to North Carolina and saw postings for auditions at STS, I saw an opportunity to pursue yet another dream of mine, one that is pretty different from my opera dreams: playing in a folk band. I’m proud to say my improvisational skills have greatly improved since those first rehearsals. Now, when Jake asks me to fill in with a solo, my response is, “Of course!” Every rehearsal is teaching me confidence in playing in a genre that, prior to my experience with STS, felt a bit foreign to me. And I’m absolutely loving it. A big underlying theme in studying classical music is finding beauty in every note, no matter the length, no matter the dynamic. Making music is always more meaningful when the performer can love each and every note. There are things I’ve learned while playing with Sweet Tea that I’ll use in my classical repertoire from now on, too; namely, to play or sing each note, whether I wrote it or not, with an improvisatory energy, with the feeling that I might be making up each note on the spot, allowing the music to pour out from the heart. I’m thankful for Sweet Tea Shakespeare for this opportunity to grow as a performer and as a person. Making music with an endlessly talented, vastly supportive group is my dream career. I’m so thankful to have found a place to create in such a brilliantly fulfilling way. 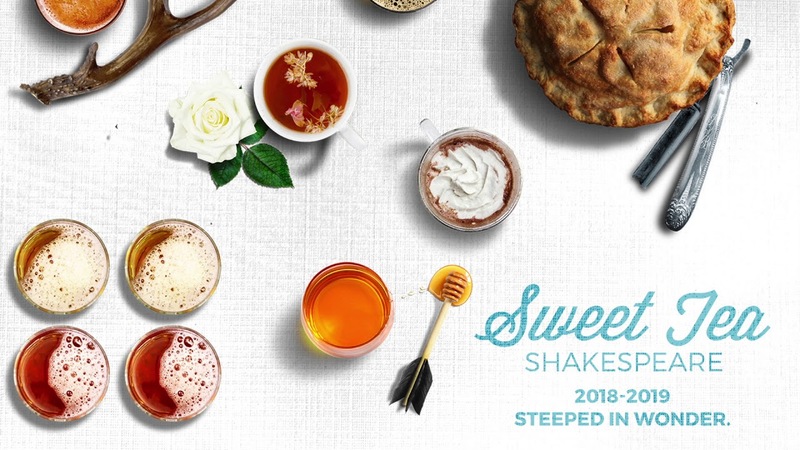 Sweet Tea Shakespeare is always evolving as we welcome new people and the talents they bring. Some people bring more than just their talent, though; one of our newest wrights, Gabe Terry, brought us Brian. And Brian brought us treats. It all began when Gabe arrived at Romeo and JuliLIT rehearsal with a container full of snickerdoodle Rice Krispies treats. Gabe gave all the credit to his husband Brian, and Brian soon began an unrelenting effort to produce even more delicious cookies, bars, and cereal treats for the actors to enjoy during rehearsal. As we prepare Behold and Antony and Cleopatra for audiences, Brian continues to prepare his confections, and we are so grateful that he does. Brian has kindly agreed to share the recipes for two of his greatest hits: Mexican hot chocolate cookies and the snickerdoodle Rice Krispies treats that started it all. If you’re in the mood for something sweet, join us for music and, yes, delicious treats at Behold: A Folk Christmas Cantata on December 8 and 9 at Holy Trinity Episcopal Church. Add the dry ingredients to the wet ingredients and mix with a spatula just until combined. Add the chocolate chips and mix until distributed evenly. Scoop out cookies onto parchment lined cookie sheet, about 1.5″ apart from one another. Bake in preheated oven for about 8 minutes, until the edges are set and the center looks done. Line a 9×9 pan with aluminum foil and coat lightly with nonstick spray. Melt butter. Once it’s melted, continue to cook the butter until it boils and begins to brown, stirring constantly. Once the butter is light brown, add 8 cups of the marshmallows, stirring constantly until melted. Remove from heat and stir in the vanilla, salt and cinnamon. Immediately stir in the cereal until coated evenly in the marshmallow mixture. Stir in the remaining 2 cups of mini marshmallows. Pour the mixture into the prepared pan and press evenly. Sprinkle with topping. Mix together the sugar and cinnamon and sprinkle onto the krispie treats evenly.